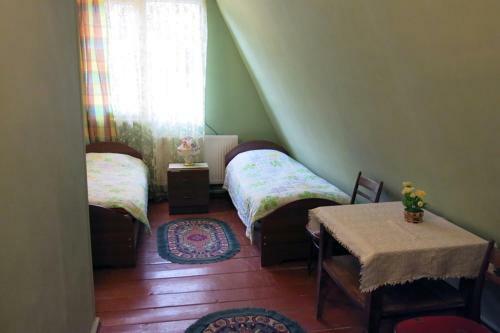 Located in Borjomi, Lilu Inn offers free WiFi and free private parking. All rooms come with a sofa, cable TV and a washing machine. The private bathroom includes free toiletries and slippers. Guests can cook in the shared kitchen or dine in the local cafes that are a 7-minute walk of the property. An array of activities including tennis, hiking and skiing can be enjoyed in the surroundings. Borjomi Central Park is right next to the apartment and Borjomi Nature Reserve is 5.5 km away. Borjomi Parki Train Station is within a 10-minute walk of Lilu Inn.